Keith Coulter represents companies in connection with their contracts and disputes, including particular emphasis with companies in the construction business and related industries. His experience as a trial lawyer ranges from relatively small controversies to multi-million-dollar disputes, including over 50 trials, arbitrations and administrative hearings, and over 30 jury verdicts as “first chair” attorney involving construction contract claims, insurance coverage, personal injury, wrongful death, multi-party toxic torts, and OSHA citation defense. Drawing from his trial experience and years of handling construction contract negotiations and disputes, he assists clients with drafting and negotiating contracts and claims involving construction and related contracts, surety bonds, property liens, insurance coverage, risk management, and employment relations. Keith is a trained mediator with experience mediating construction contract, construction defect, and personal injury cases. Keith has been listed in Texas Monthly as a “Texas Super Lawyer” and Best Lawyers in America for construction litigation since 2006, and in the Martindale-Hubbell Law Directory with a “A-V” rating, the top designation given by peers in the legal community. Keith is a member of the Houston Bar Association’s Construction Law Section and Litigation Section, a former member of the Construction Law Section Council, a member of the State Bar of Texas’ Construction, Litigation and Insurance Sections, and the Standing Committee on Administration of Rules of Evidence, a former member of the District 4F Grievance Committee, a Fellow of the Texas Bar Foundation, and a member of the Texas Association of Defense Counsel, the Defense Research Institute, and the College of the State Bar of Texas. Keith is also very active in local construction industry and trade groups, such as the Associated Builders and Contractors, Greater Houston PAC and Safety Committees and the Associated General Contractors of America, Inc., Safety and Health Committee, and OSHA Partnership Task Force. Keith received his Bachelor of Arts degree from the University of Texas at Austin in 1982, and his Doctorate of Jurisprudence from the University of Texas at Austin in 1985. 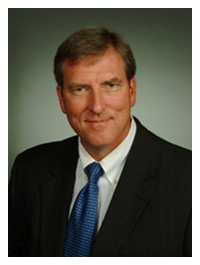 While working on his law degree at the University of Texas at Austin, Keith was a member of the Board of Advocates where he was Director of Appellate Advocacy from 1984-1985 and The Review of Litigation from 1984-1985. Keith has been admitted to the State Bar of Texas; U.S. District Court, Southern and Eastern Districts of Texas; U.S. Court of Appeals, United States Fifth Circuit; and U.S. Supreme Court. Keith is Board Certified in Civil Trial Law by the Texas Board of Legal Specialization and Board Certified in Personal Injury Trial Law. He is also Board Certified by the National Board of Trial Advocacy in Civil Trial Advocacy.